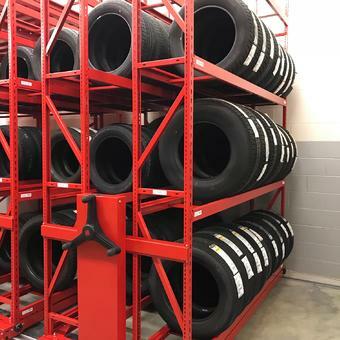 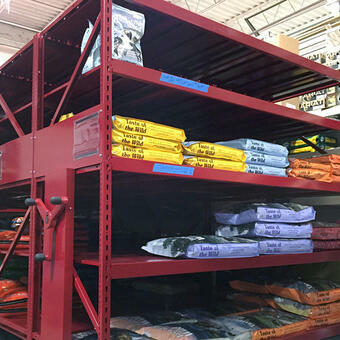 Pallet mobile racking storage systems | Montel Inc.
Our industrial high-density mobile storage systems designed for pallet racking can boost your storage capacity by 50% and maximize productivity without compromising selectivity or efficiency. 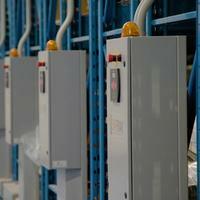 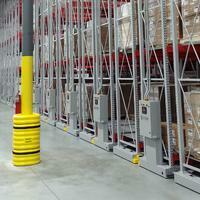 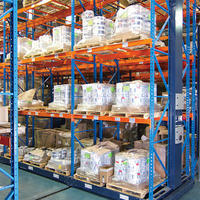 Our mobile storage systems for pallet racking are composed of conventional pallet racking installed on mobile bases. 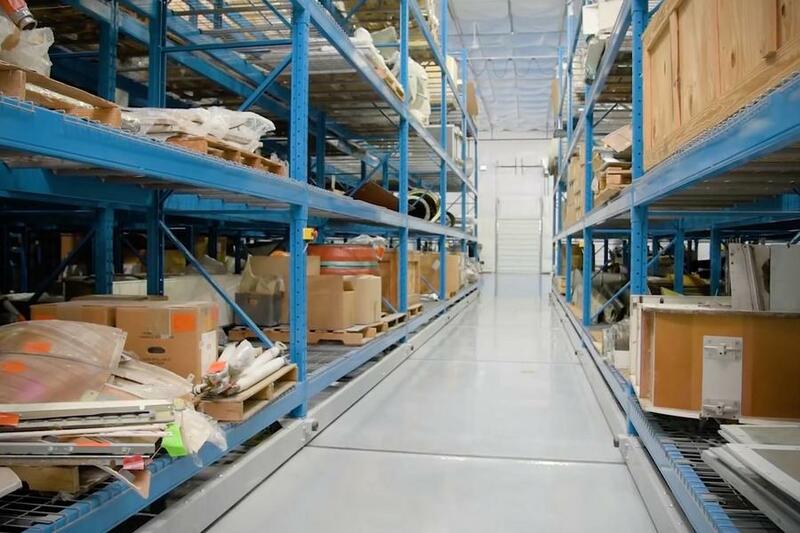 This unique setup allows you to easily add on and expand, thus adapting to your evolving needs. 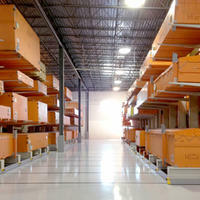 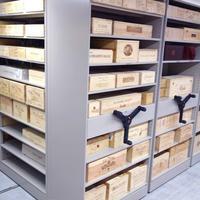 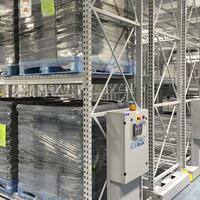 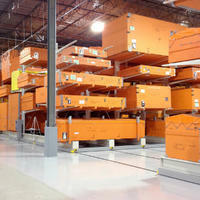 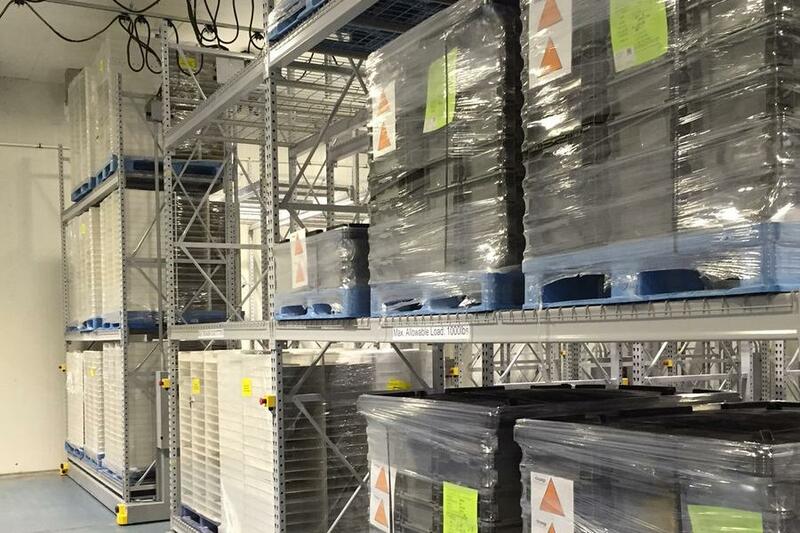 You will greatly benefit from our high-density mobile shelving solutions. 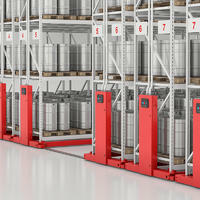 They create space, improve productivity, accommodate growth, allow for fully customizable and accessible storage and increase storage safety in your workplace. 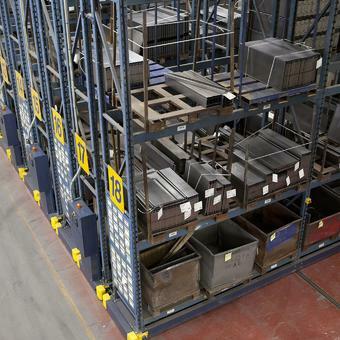 Our distinctive high-density mobile storage systems are compact and will reduce your storage footprint by 50% or give you 100% more storage capacity. 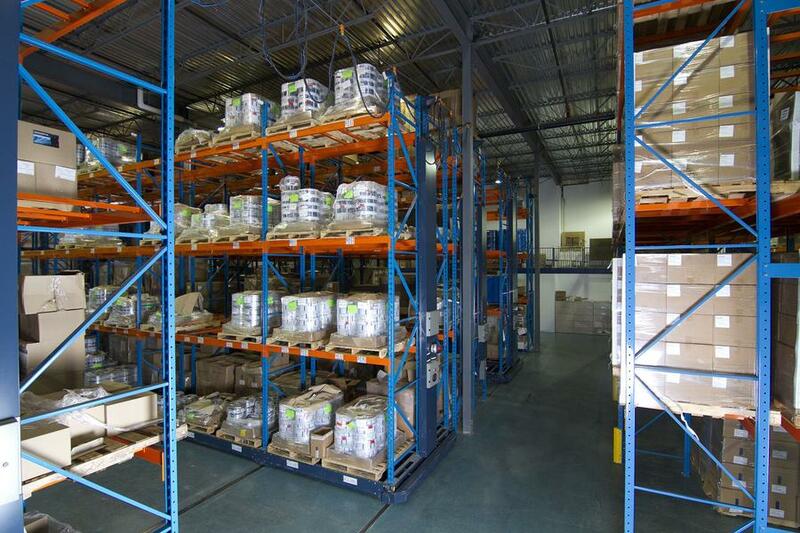 That’s a load of potential you can surely benefit from! 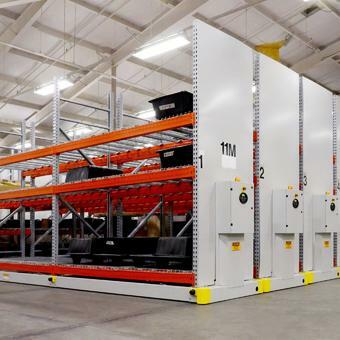 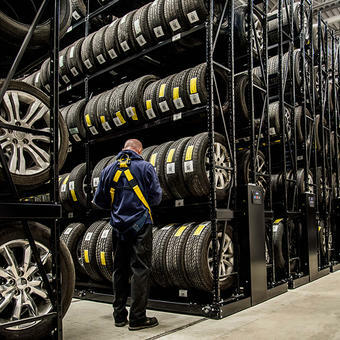 With added security features, secure functionalities, and a whole list of add-ons to personalize your storage solution, our modular and ergonomic systems will maximize your available warehouse storage space in a cost-effective way. 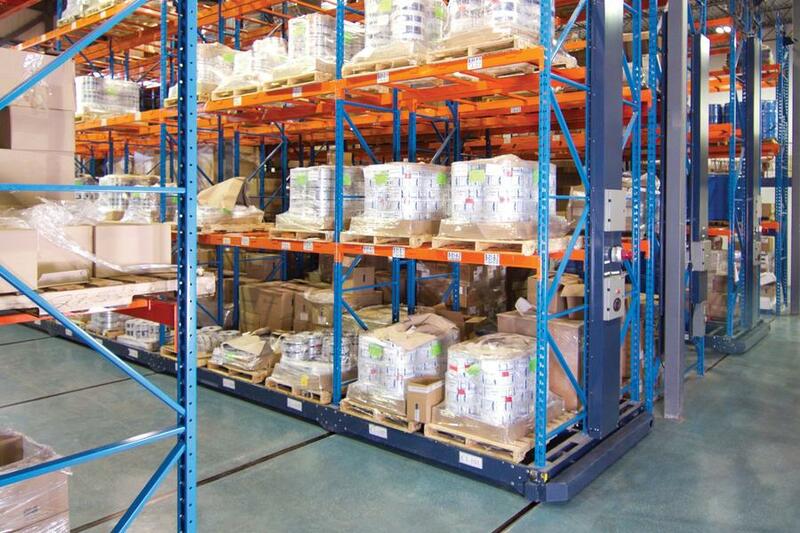 Variable control and security options ensure ease of operation and absolute safety when adapting to your specific requirements and work environments. 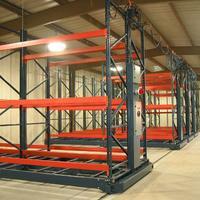 Easily accessible shelves maximize the efficiency of your working teams. 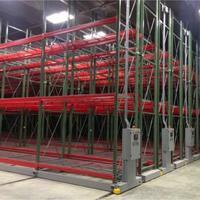 Mobile systems designed for pallet racking can boost your storage capacity by 50%, maximizing productivity and minimizing the hassle of having to move stock to another area of the warehouse for inventory counts.